Best Ways You Can Go Completely Crazy with Strawberries this Summer! Fresh or frozen, there is no doubt that strawberry is one of the healthiest fruits in the world. Unlike many other healthy food, strawberries are deliciously juicy, sweet and tempting. This summer, let us celebrate strawberries and beat the summer heat with superb condiments, desserts, juices and meals made with strawberries. You can either eat them right away or store them in your refrigerator for later. Check out the lovely things you did not know you could make with the strawberry. 1. Strawberry Pretzel Salad – Mix together some cream, butter, crushed pretzels, sugar, strawberries and Voila! Your salad is ready. 2. Having a piece of strawberry Jell-O poke cake is a fine way to cool down in the summer. 3. 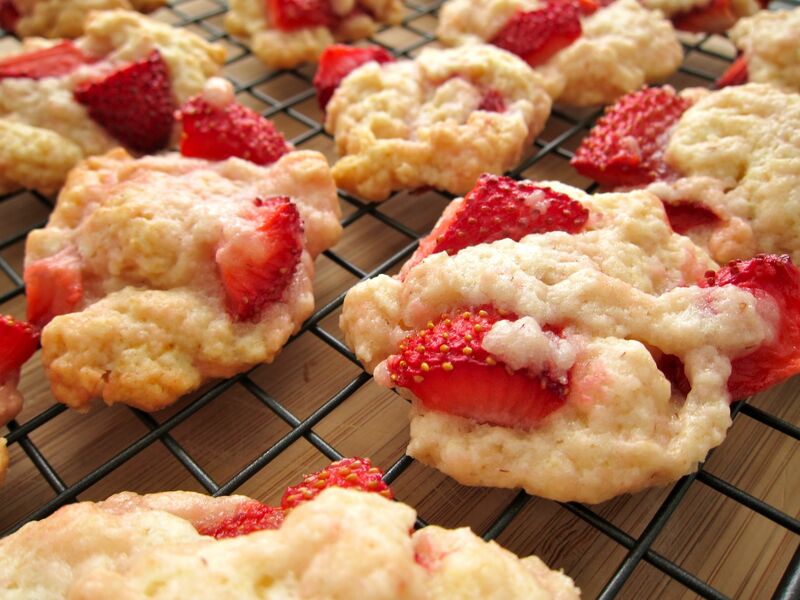 Make dozens of strawberry cookies this season and store them in a cookie jar. 4. Strawberry Rhubarb Shortcake is sweet and tangy. 5. No-Bake Strawberry Chocolate Tart is simply delightful! 6. Chocolate Covered Strawberries – Need we say more? 7. Chicken Strawberry Spinach Salad is recommended for health nuts out there. 8. Strawberry Bread goes awesomely with a cup of tea. 9. And if you prefer muffins, bake some strawberry muffins. 10. Strawberry Cornmeal Muffins can bring a wonderful smile to anyone’s day.